A basking shark has been filmed being pulled up in the net of a French trawler in the Bay of Biscay. 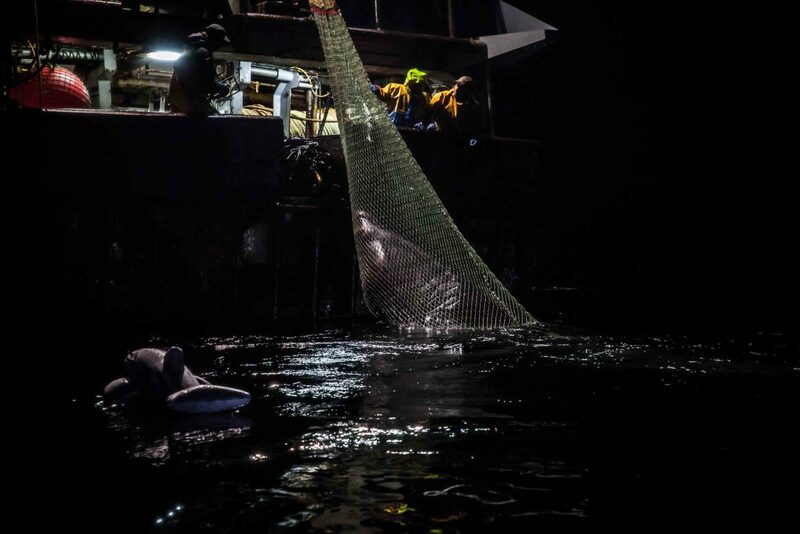 Environmental activist group Sea Shepherd was carrying out one of its regular night patrols to document dolphin catches, as previously reported on Divernet. “The fishermen were dragging a large inflatable dolphin behind their boat, probably to taunt us,” reported Sea Shepherd. The group said there was no way of knowing whether the shark would survive the stress and possible injuries caused by its capture. Basking sharks are IUCN-listed as “vulnerable”. Sea Shepherd wants non-selective fishing methods banned in areas such as the Bay of Biscay with populations of protected or threatened animals.